Scotland’s transport minister, Humza Yousaf, has said the next phase of road upgrading in Scotland should include the capacity to cope with the introduction of autonomous vehicles. The Sunday Times reported that the Mr Yousaf also wants to look at the potential for autonomous highways to transport volumes of freight across the country. 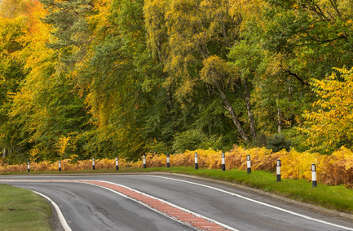 The report added that capacity for driverless vehicles will be built into forthcoming road projects, including the conversion of the A96 from Inverness to Aberdeen (pictured) to a dual carriageway, the creation of a Maybole and Dalry bypass, and upgrading work around Edinburgh’s Sheriffhall roundabout. It could include dedicated lanes as well as digital connectivity to ensure the vehicles can receive geolocation information to keep them on course. There are plans for a summit in the autumn involving car makers, construction companies and transport experts to identify areas of Scotland where the technology can be piloted.